When you perspire while sleeping, you may be left with yellow sweat stains on your pillows. The stains may also be the result of drool. Some pillows feature a protective cover that you can simply unzip to remove; other pillows are unprotected. 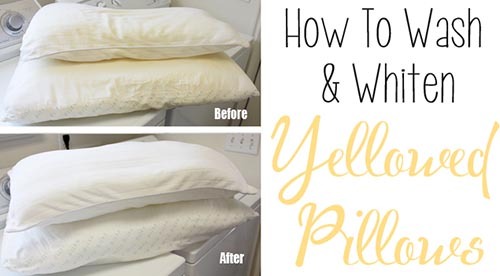 No matter what type you have, you can remove the yellow stains Yellow pillows are sad to look at and, frankly, disgusting. Don’t throw a pillow out if it’s not time yet. A quick wash will get it back to its pure white, original state.